- There is no such thing as a wrong way to be spiritual. That's like saying there's a wrong way to dream or laugh or cry. 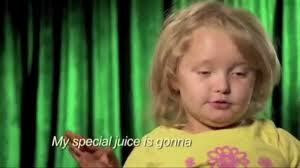 - Honey Boo Boo Child is not what's wrong with this country, her parents are. Or, rather, the people who financially reward her parents for putting her on television. - The older I get, the more I realize that pretty much everything I need to know I learned at summer camp. - Voter fraud prevention laws are a direct attempt to make it harder for specific (likely-to-vote-for-Obama) demographics to vote. Find out what you need to do to make sure your vote is counted. - When Facebook "suggests" events, I feel like it's being that pushy friend who is always trying to get me to join her knitting group. - Jewish mothers continue to reign supreme as the group most comfortable with directly asking me how on earth I make money writing a blog. - I am a Nor-Cal girl all the way, but it's nearly impossible not to feel awesome while speeding down the 405 in a hot little rental car with the windows rolled down, while K-EARTH 101 blasts "Respect." - Men who own businesses and have families are never accused of wanting to "have it all." In the same vein, when Tom Perotta and Jonathan Franzen write about love and relationships, it's modern literature, but when Jennifer Weiner does, it's "chick lit." - This spanakopita recipe is the solution to just about everything.